I have always loved the smell of freshly-baked bread. Bread is one of the most common food staples here in Australia. It’s a huge part of our diet and, although there is a huge range of breads available at our local supermarket, we have started to wonder how these breads are made and if they’re healthy for our family. With this in mind, we purchased the best bread maker 2019 has. Click here to see the best bread maker to top our list. Luckily for me, my family have loved the awesome loaves of breads I’ve made. I’ve also started experimenting with gluten free and other type of specialty breads. I’m so happy that we get to eat healthier and have more say over the food we put in our body, and I hope I can help you do the same! In this guide, you can compare some of the top bread makers on the market today and, with a few useful bread maker reviews, you will be able to decide which one is perfect for your family. Refer to the below table comparison of the best bread makers Australia offers. We will do a thorough comparison and review of these bread makers below. Handy reference list – see all bread maker reviews below! First up, let’s take a quick look at how to make bread in a bread maker. In general, making bread in the best home bread maker first requires you to add your liquids before adding dry ingredients. It’s important to ensure the yeast is separate from the liquid until your machine starts to mix everything together. Another tip is to ensure that all your ingredients are at room temperature before adding them to the machine. Read any bread maker reviews Australia has and you will note that various bread machines have different setting options for you to choose from such as the size or shade of crust as well as delaying the bread making process so you can have fresh bread at certain times of the day. 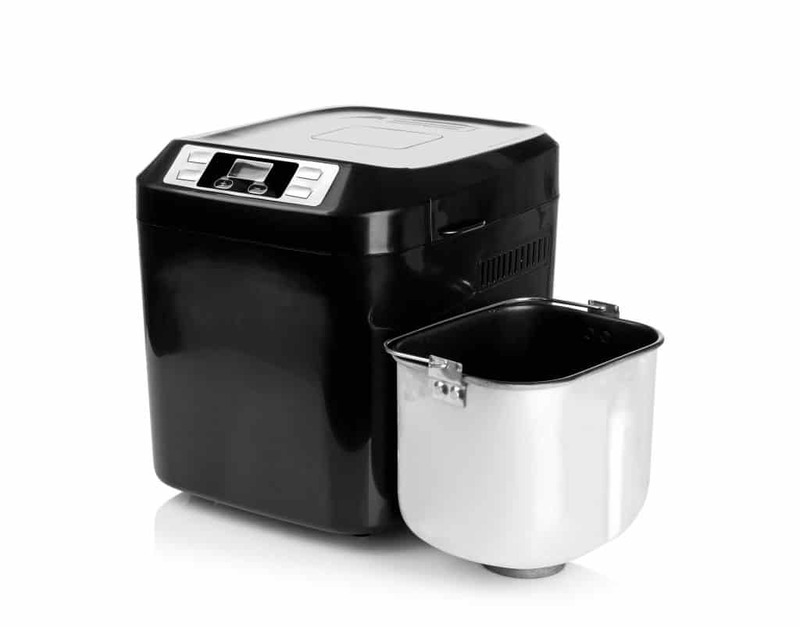 It is important to note, that even with the best bread maker Australia has, it is recommended to clean your bread maker before its first use. Usually, the instructions will say to run the bread maker for an hour or so with a cup of water and the lid open in order to remove any smell or dirt. To determine which is the best bread maker to buy, you need to determine the features you need. The kneading paddles not only mixes the various ingredients in the bread maker but kneads the dough as well. You will find that sometimes a bread maker will have twin paddles which creates a more rectangle shaped loaf of bread. An important thing to note when learning how to use a bread maker is that it’s super important to remove any baked bread from the kneading paddles as any bread left will impact the efficiency of the bread maker. The easiest way to do this is to remove the kneading paddles from the bread maker and clean them. If it’s not possible to remove them or they are difficult to remove, simply fill the bread pan with warm soapy water and let it sit. Most bread makers these days have various settings in order to make a range of different bread types as well as other products. You will be amazed at the range of breads and products you can make in certain bread makers such as ciabatta, sun dried tomato bread, gluten free, sourdough, cakes, pasta and even jams! Not all do the same however. You’ll find which do in our bread makers reviews below. Many bread makers also have the option of making a range of loaf sizes and crust shades. It’s a good idea when looking for a bread maker to consider how much bread you plan to eat. Fresh bread from a bread maker should be eaten within a few days, so if you won’t be eating that much you may want to consider a small bread maker. Another thing you should consider when asking which best buy bread machine is when you need bread. This is where a delayed timer comes in. The best bread maker machine will have the option to delay the bread making process so that you can set it to have bread ready at a certain time. Most commonly people like to set the bread maker at night so that fresh bread is available when they wake the following morning. Some of the best bread makers for sale will make an audible sound when the bread is ready. Whilst not essential to the bread making process, this is a great option if you are away from the kitchen and want to be alerted when your bread is ready. When asking which best bread machine it’s important to consider capacity needed. We’ve mention this when we review bread makers below. For now, it’s important to understand a large capacity bread maker is generally over the size of 1kg. If you’re asking which best small bread makers are under this, you’ll find it mentioned below. If all you’re after is a cheap bread maker then the Kogan Stainless Steel Bread Maker will do the trick. Our Kogan bread maker review found the bread maker easy to use. Simply add your ingredients, select one of the 19 automatic programs and choose your crust shade and load size, then press start. The machine will take care of the rest and in next to no time, you will have delicious fresh bread. For a budget model, it’s awesome because it doesn’t just make bread (including sourdough, french bread, soft bread and multigrain), you can also make cakes, jams and yoghurts too! You can even set it the night before so the machine will start making bread up to 15 hours later and the automatic fruit and nut dispenser makes baking specialty loaves a breeze. It’s easy to clean to with a removable kneading paddle, non stick bread pan and a fingerprint free brushed stainless steel casing. 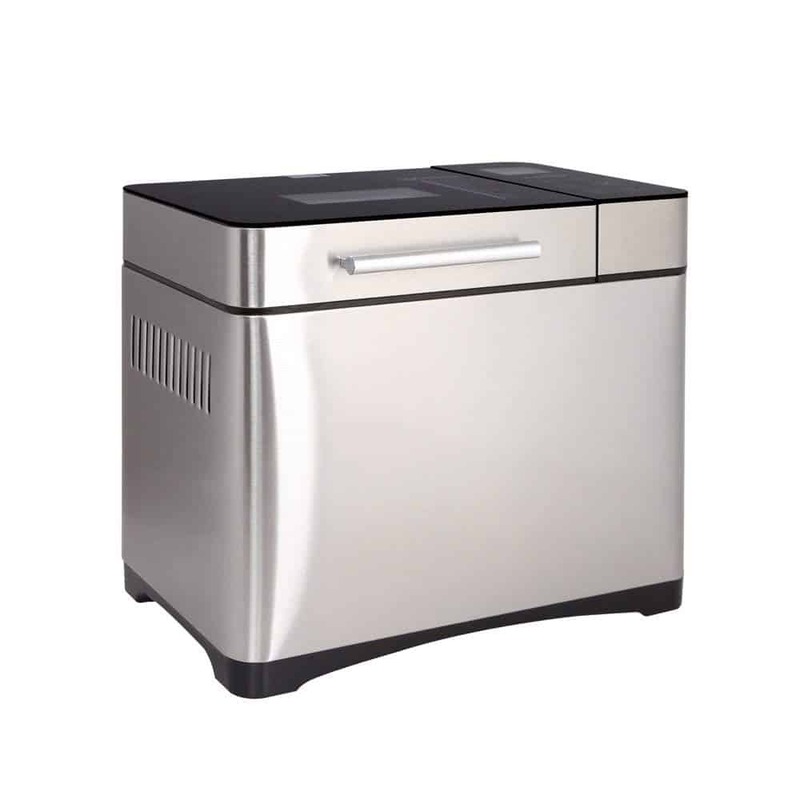 Other great features include the keep warm function (keeps your bread warm for up to 60 minutes), viewing window, LCD display, non slip feet and power cut backup system. According to the many Kogan bread machine reviews, this is a great budget model for the money. Breville has a great reputation for making fantastic kitchen appliances, and their Gourmet Bread Maker is no exception. This Breville bread maker is perfect for families who want the option to make varying loaf sizes. Options on this bread maker include 500g, 750g and 1 kg loaf sizes. It also has 13 automatic settings to make various breads (crusty loaf, gluten free) as well as cakes, baguettes, dough, pasta and jams. The fruit and nut dispenser adds fruits, nuts, grains or jams into recipes at the perfect time. Like all good bread makers, the Gourmet Bread Maker has a programmable timer, so you can have fresh bread ready at any time of the day or night. Other great features of the Gourmet Bread maker include the ability to choose from 3-4 different crust settings (light to dark), a 17 cm non stick cake tray and cake paddle, non stick baguette tray and a jam paddle. This bread maker is a great addition to any household and, with its stainless steel finish, will look great in the kitchen too. If you have a member of the household who suffers from Coeliac disease or is on a strict gluten free diet, you will have peace of mind with this Sunbeam bread maker endorsed and tested by Coeliac Australian and New Zealand. With 14 automatic programs, not only does this bread maker make delicious gluten free bread, other bread settings include white, wheat, french, sweet, rye turbo and bake. If you prefer oven cooked bread, there is even a setting to remove the dough at the optimal time so it can be shaped and finished off in a conventional oven. This bread maker also makes jam too and the automatic fruit and nut dispenser enables you to make delicious speciality loaves of bread. Like all great bread makers, this machine has a 15 hour time delay, so you will never be without freshly baked bread in the mornings again! Other great features of the bread machine include choice of 3 loaf sizes (500g, 750g and 1kg), 3 crust settings, collapsible blade, 60 minute keep warm setting, viewing window and a non stick removable bread pan. This is a great bread maker for any household with special dietary requirements or for those who just want the ability to make delicious fresh bread. If you want the ultimate number of settings and features in your bread maker, then look no further than the Breville Custom Loaf Pro Bread Maker. With over 60 different settings to choose from, this bread maker has so many different options that you may never try them all. This bread maker has both manual and automatic program settings so you have the option of playing around with the bread maker to create your own customised recipes. However, the clever interface will compute temperature and baking time to ensure your creations come out perfect every time. Of course for the novices, there is still the automatic settings. Automatic settings include gluten free, yeast free, crusty loaf, dough, pasta, jam, rapid bake as well as 9 custom settings. Like all good bread makers it includes a 13 hour delay start timer and a fruit and nut dispenser to automatically dispense fruit, nuts and other mix ins at the optimal time. It even lets you choose the exact time to add the various mix ins. Other great features include the collapsible kneading blade, that collapses to maximise loaf slices after it has mixed through the ingredients and an LCD display. Read any Breville bread maker review and you will see people loving this machine. Regular comments are that the machine is super easy to use and that the bread bakes perfectly every time. This bread maker is on the more expensive side, but if you want to have full control over the machine and use your own customised recipes then this bread maker is for you. It’s one to consider when asking which bread maker is best. The Sunbeam Smartbake is another good bread maker option for those who want to use it to make their favourite recipes as well as having the option of automatic programs. The Smartbake has 12 preset automatic programs as well as the option to experiment and program 8 of your own recipes. Automatic settings include bread, pasta, dough and jam. You will also love the SmartBake display which indicates the stage in your bread making process from preheat to knead, rise and bake and keep warm. Coeliac Australia have also tested and endorsed this bread maker, so families with someone suffering from Coeliac disease can have peace of mind that bread made from this machine is safe to eat. Other great features include a fruit and nut dispenser, 3 different loaf sizes (750g, 1000g and 1250g), 3 different crust settings, 15 hour delayed start, 60 minute keep warm setting and a viewing window. 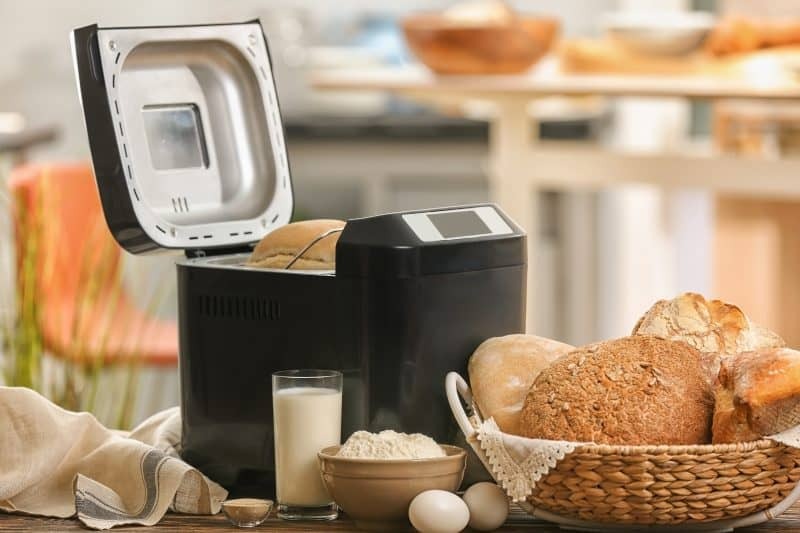 Reading the Smartbake bread maker machine reviews it is clear that customers consider this machine a must have in the kitchen. The Breville Baker’s Oven Bread Maker is a great low budget model that will provide you with delicious fresh bread. With 23 different programs, for a budget model, this bread maker has a lot of functionality. Programs include crusty white, french loaf, whole wheat, multigrain, rye, gluten free and a rapid bake as well as having the ability to make a range of different loaf sizes including 750g and 1000g and 3 different crust types. Like all good bread makers, this machine includes a 13 hour pre set timer, so you can set your machine to have warm bread as soon as you wake up. Other great features include power interruption protection and an easy to use control panel with LED screen. If a no frills, low bread maker price is a priority to you, then the Breville Baker’s Oven Bread is a great choice. The Panasonic Bread Maker has everything you need in a bread maker and is a great for any household. It’s the best bread maker Panasonic offers. This bread maker has 11 different pre programmed baking options including bread, gluten free, spelt bread, brown or white, buns, croissants, rolls, cakes as well as 8 jam and 6 compote recipes. You can also select from 3 different crust colours (light, medium and dark) and 3 different loaf sizes (medium, large and extra large). The diamond flouro-coated bread pan and kneading blade ensures your dough won’t stick and it makes it super easy to remove your bread at the end of the baking cycle. You will also love the fruit and nut dispenser that distributes at the optimal time and evenly throughout the loaf. The dispenser is also easily removed for easy cleaning. Some other great features include the 13 hour delayed timer, power interruption protection as well as being a slim and compact design. Reading any Panasonic bread maker review, you will find happy customers. Regular feedback is that the bread maker is easy to use and clean and makes delicious bread every time. The Panasonic bread maker price won’t break the bank either, and is a perfect mid range model for households that want something a little more than a budget bread maker. Perfect for making a large pound loaf bread, the AUCMA has in total 12 different settings that can be used for bread. In addition to types of bread, this is the best bread maker which specialises in producing some fine crust, with 3 options in total. An LCD screen is very handy on a home bread maker, and this particular model has one where you can pre-program your settings (such as having freshly made bread waiting for you in the morning). If you’re at all familiar with the Zojirushi or Hamilton Beach makers, this particular model produces similar results – and at a much reduced cost. When people ask which is the best bread maker to buy, they’re usually waiting to hear a recognisable brand name. Kenwood is obviously one of those brands, and it’s one of the top bread maker brands. If you compare bread makers to other bread makers reviews, this model fairs well. It offers 11 settings for bread and a 15 hour delay, which means you can ‘set and forget’ before bed, waking up to freshly baked bread. 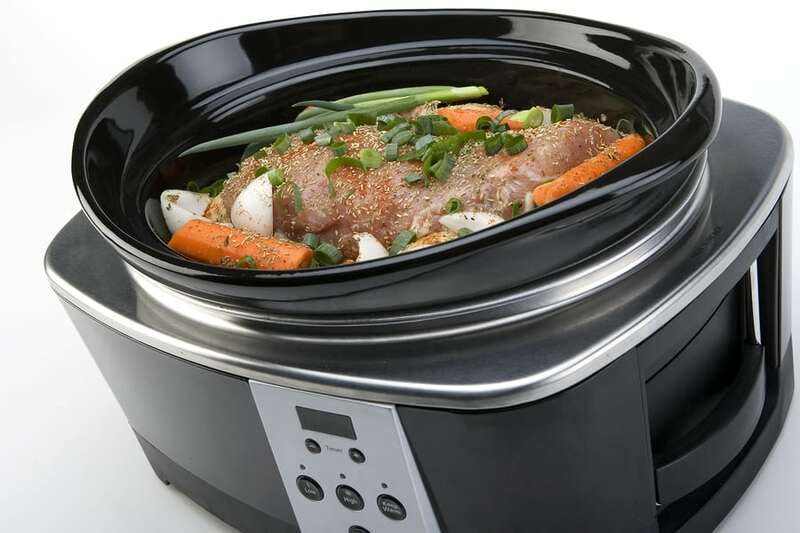 In addition, there’s a 1 hour keep warm function (perfect for reheating too). Freshly baked bread takes around 85 minutes. The newest model is marketed as eco-friendly, so it’s worth considering when deciding which is the best bread maker to buy whether you could have a favourable impact on the environment. Some of us are pickier than others (between you and me, I’m one of them), so custom loaf bread becomes a necessity rather than luxury. If you want the closest thing to your own home bakery, the 5-Star bread maker is the closest thing. We’ve analysed which best buy bread machine offers the most options, and this one has a mammoth 19, in addition to 3 crust settings, fruit and nut dispenser, yeast dispenser and the ability to make cakes and jams. You can easily make whole wheat bread among other specialty breads. Another thing we like to see when asking what is the best bread maker to buy in Australia is the ability to set and forget. This particular model can be preset to operate in within 15 hours. 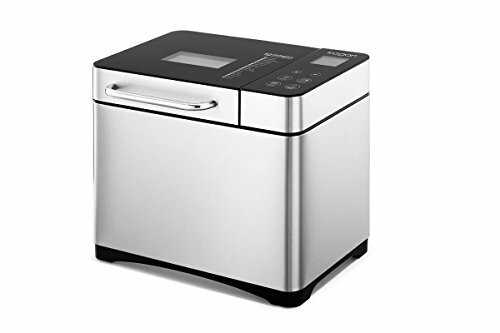 Plus, if you’re wondering which best buy bread maker 2019 is budget friendly, this is it. It ticks all the boxes and more. We hope we’ve helped you answer what’s the best bread maker to buy. In your opinion, what’s the best bread maker on the market? Let us know! Looking for other household products? Read about the best coffee machine and other household products here.